I Have a Very Happy Spath! 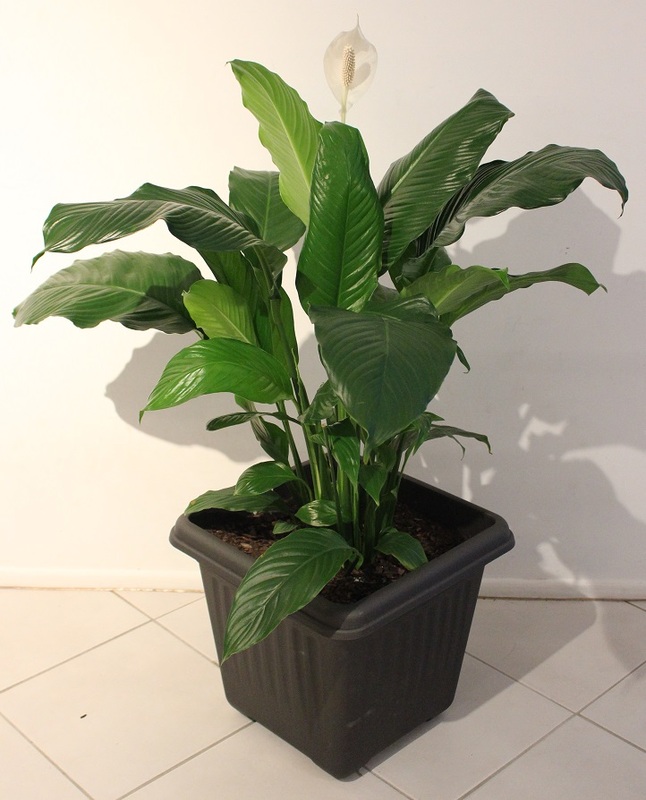 Self watering plastic pot of right size (see below). Average quality, well draining potting mix. Once a week take outside and drench it. Don’t give it a jug of water, give it a 5 minute soaking. Allow to sit for an hour. Before bringing inside again tip about 2/3 of the water out of the self watering pot base. Liquid fertilise a small amount at half strength at most a couple of times a year. They don’t like much fertiliser. If your flowers are green you are over fertilising. I have another couple of peace lilies that I nearly killed before I applied this technique, and they are bouncing back to life. Terracotta is terrible. Just saying. The self watering pot seems to help with the subtropical heat in the Brisbane summer. If you live somewhere cooler, perhaps a non self watering pot may work better? I really don’t have much of an idea of what I am doing here, but I just wanted to record this success so I can replicate it in the future – and maybe someone else in a similar climate may benefit from this too. The whole reason I have persisted, even though I am usually terrible with plants is simple: air quality. We spend too much time indoors. But if we aren’t going to change that, we can at least make it a bit more healthy. They also look pretty amazing, and add life to a room. The only downside is that Peace Lilies aren’t so great for pets or preschoolers – apparently if eaten they are mildly toxic to humans, dogs and cats. Thankfully all our kids are old enough to identify the pot plants before they munch on them.